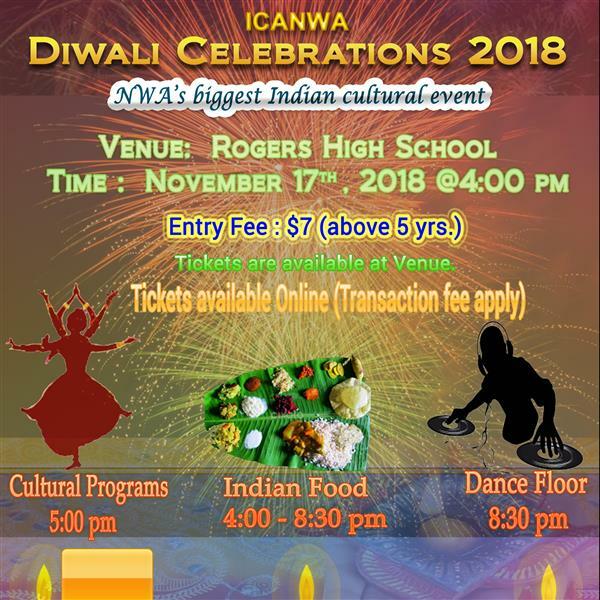 NWA Diwali Celebrations Online ticket. Transaction fee apply for online tickets. Fee will be displayed at checkout.